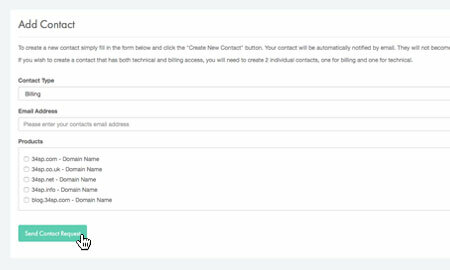 This is a quick step-by-step walkthrough for creating a billing contact via the 34SP.com Control Panel. 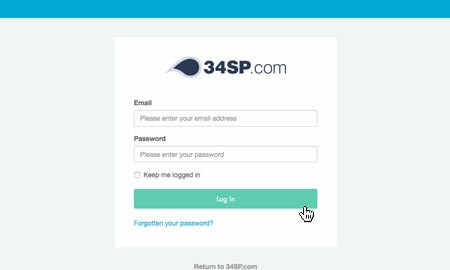 34SP.com products can be assigned either Billing or Technical contacts, should you need to give 3rd party access to your 34SP.com products. Billing contacts will automatically be emailed reminders and payment information related to your account, as well having the ability to make payments and view invoices. They not do however, have access to any technical information. 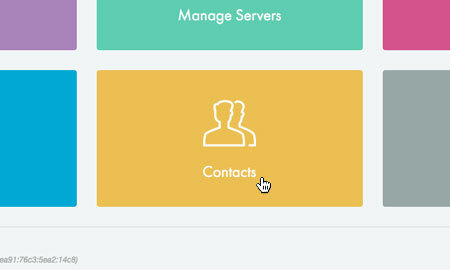 If you are looking for help creating a technical contact, please see 'How to add a technical contact for your account'. This will bring up a form. 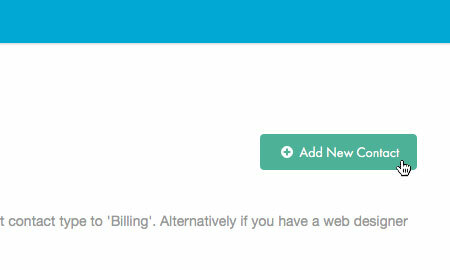 From the drop down menu labelled 'Contact Type' choose 'Billing'.